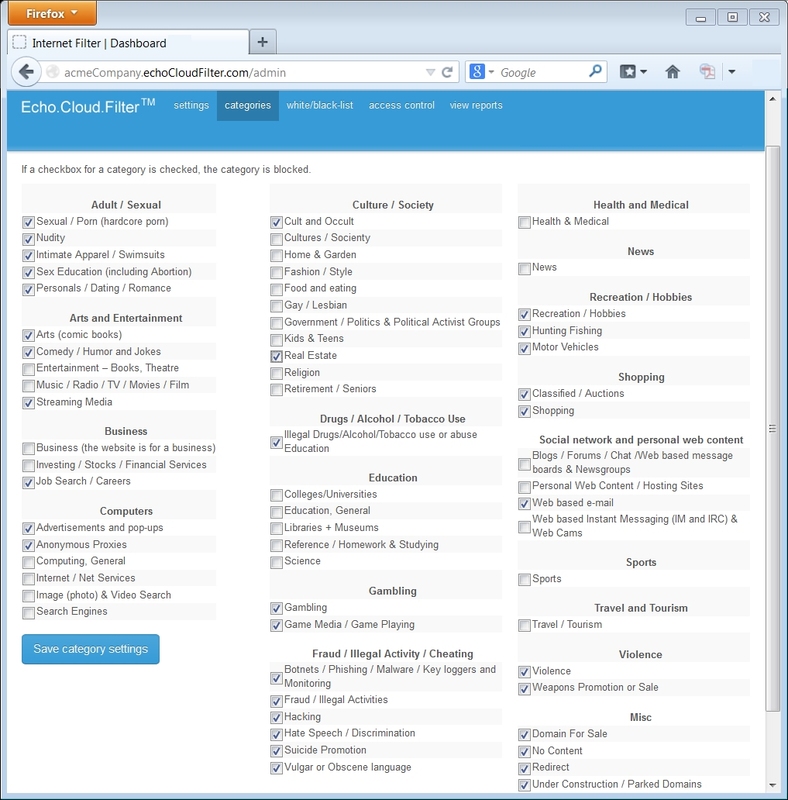 The following images detail the ease with which you administer your Echo.Cloud.Filter account settings. 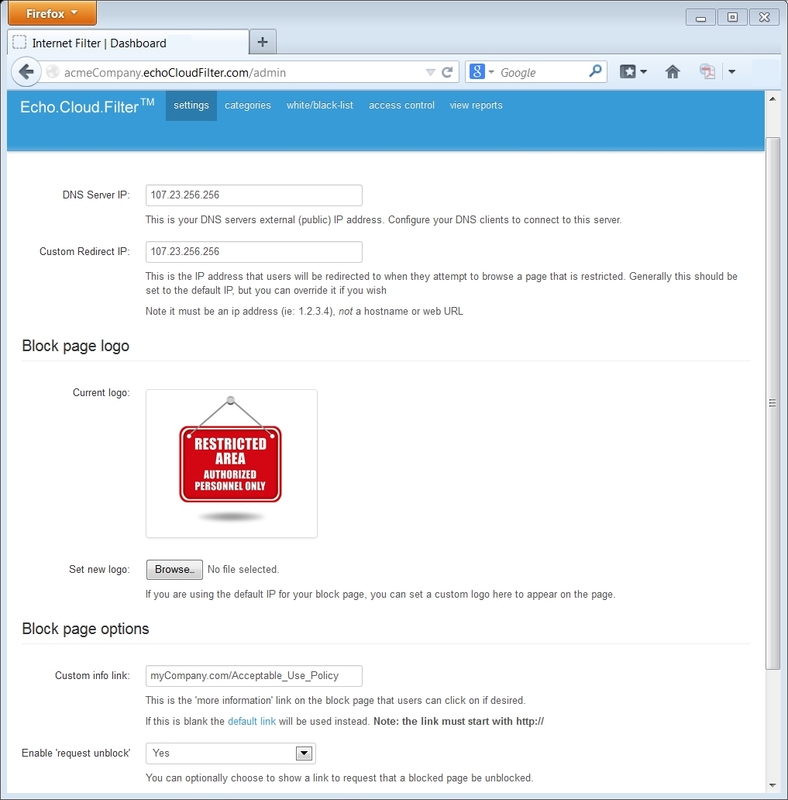 The Settings Tab allows you to view your DNS settings, customize your hosted block page or redirect users to any page you like. The Categories Tab is where you select the content to be blocked. 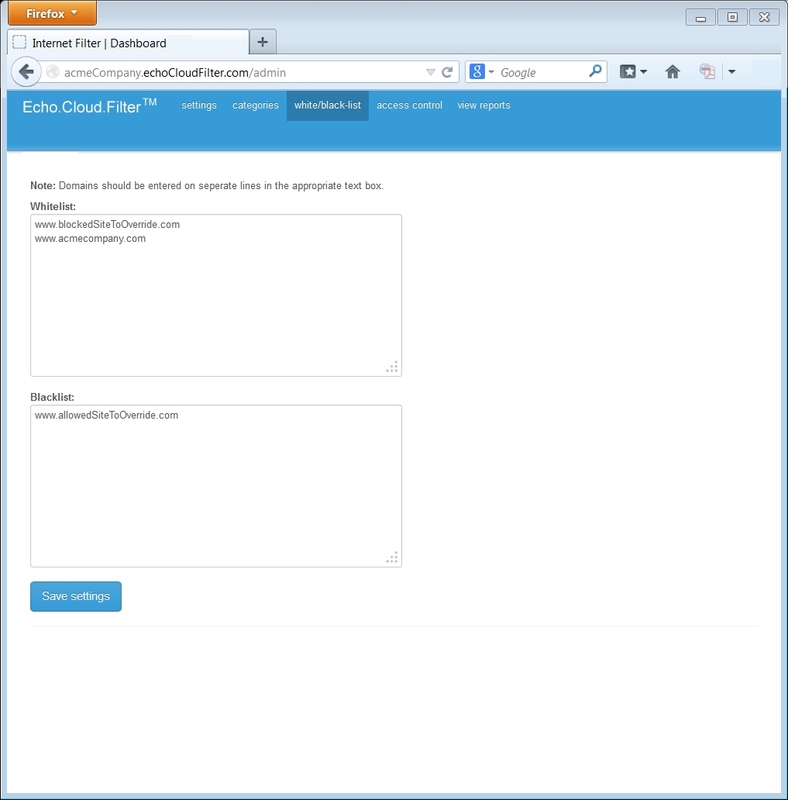 The Echo.Filters database is updated constantly as new sites are analyzed. The White/Black List Tab allows you to override settings in the Echo.Filters Category Database. You may disagree with a rating or want to make exceptions for certain sites while their general category remains blocked. 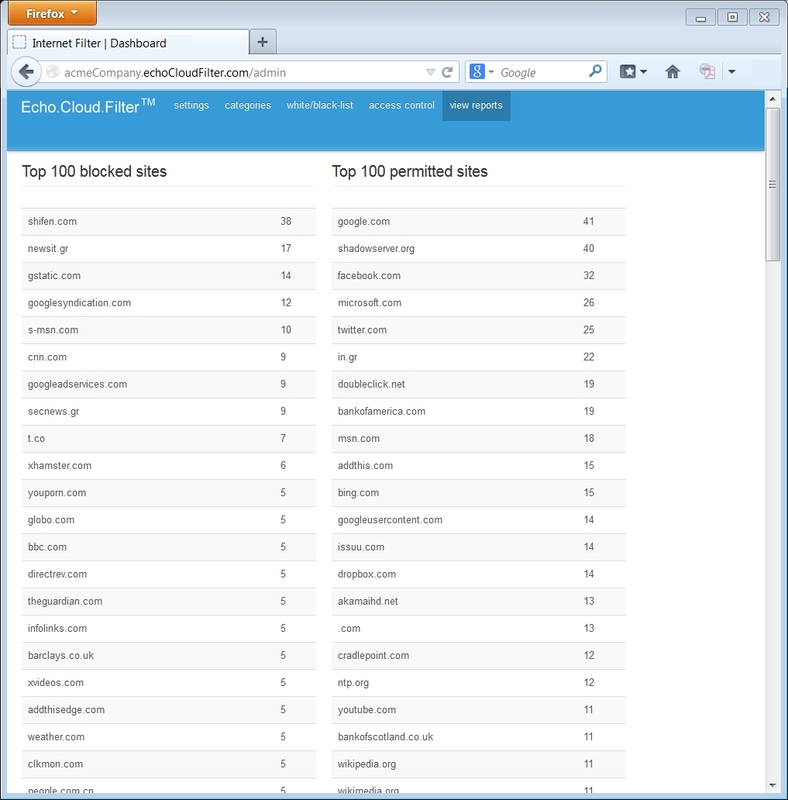 The Reports Tab provides immediate insight into how users are accessing the Web through your network.